Surf Educa, the program that brings Surf and Education together! - Use of locker rooms, WCS and room of arrangement of personal property. 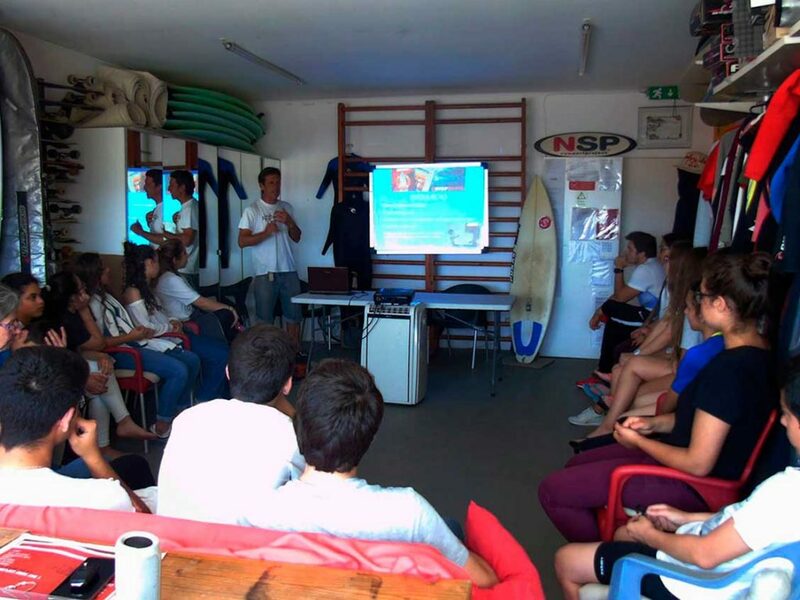 Surfing Life Club, with the program Surf Educa, aims to educate and sensitize young people to the notions of prevention within the ocean and particularly Surf. Our school founded in 1994, has instructors who are fully accredited by the Portuguese Surfing Federation, and also have licenses for a correct operation. The team of professionals is led by João Diogo, Coach and Competitor credited by the Portuguese Surfing Federation (FPS) with monitors who guarantee an efficient, practical and safe theoretical /practical framework of the sport. It is also worth mentioning that our school was the only school in the Porto district to win a Merit Award, awarded by the Minister of Sports, for the promotion of Sport and a way of working with children and young people. It has its main activity in education programs with aquatic activities for the bathing zone, swimming oriented to the sea, surf and beach. 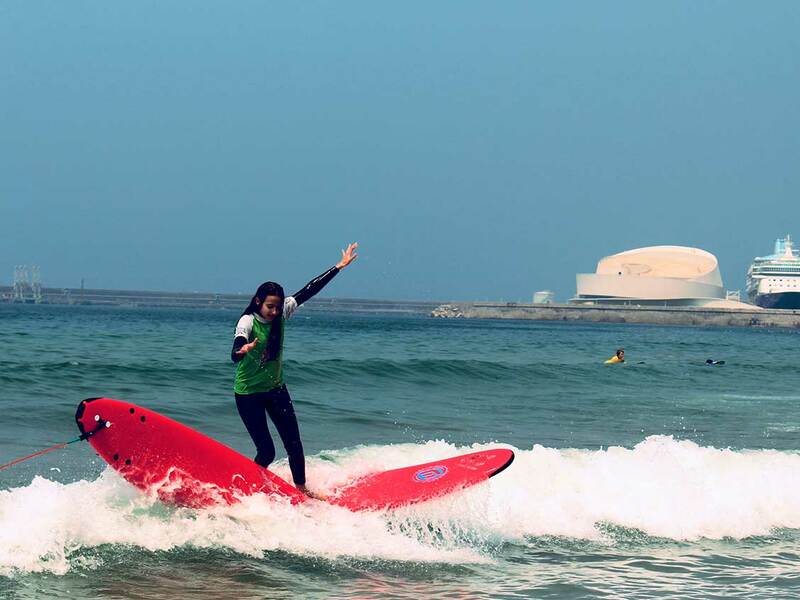 The Surfing Life Club team developed a set of Surf courses oriented to the Primary, Secondary and High Schools. 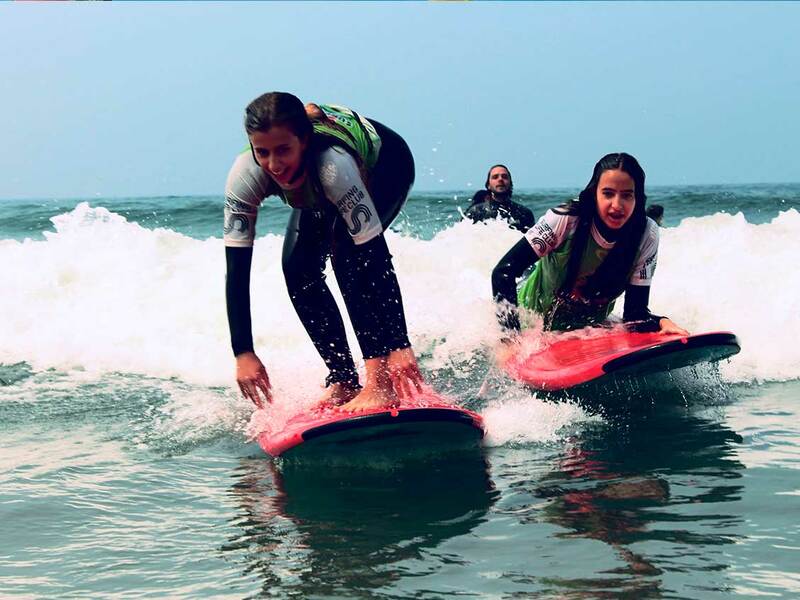 These courses have been structured and adjusted so that children and young people can improve the level of prevention and safety in the bathing and surfing zone, as well as to increase an ecological attitude and promote autonomy, cooperation and self-confidence. In this way, we intend that children and young people, from the inland can experience and promote basic skills in the field of Surf without renouncing the issues of safety and respect for the environment. Surf Educa - Surfing and Sea Surfing - is a Registered Trademark - Surfing Life Club Property. We want to associate the brand with the quality of our teaching, so that whoever contacts us has the guarantee of the quality that we insist on maintaining. Currently, more than 1,000 students from the Schools, Garcia da Orta ,Boa Nova, Secondary ,Rainha Santa Isabel, EB 2,3 Cerco do Porto, EB 2,3 Leça da Palmeira, EB 2,3 Francisco Torrinha and the Colleges do Rosario , German, CLIP, Ermesinde, British, among others participated in our project including the emerging importance that safety and prevention at sea should be an integral part of the training of children and young people. VAT is added at the legal rate in force.